I've been reading here for a while, and I like the idea of creating a personal chart regularly, so I've decided to join. I love "im in it with you" such a beauty! Jojo and Melanie Martinez' entries are great too! "Shine" is great too, the best song by Years & Years so far, and "Book Of Love" grew on me a lot over the last week. What a great debut when it comes to presenting a new chart! I totally agree on Tansike saying that your #1 is amazing. Personally, I think that it's her second best song so far (my favourite is "Euphoria"). Loreen is freaking talented and she deserves to smash worldwide! - I don't know why her label doesn't promote her internationally anymore! The new single by JoJo ain't bad but I have to say that "Save My Soul" is superior to it. SMS is one of my favourite songs right now! Hopefully, this will become a single! Love seeing Don't Be So Hard On Yourself, I adore this track! I like the Lady GaGa song but compared to Loreen's masterpiece it cannot compare to it. However, in combination with the music video, "Til It Happens To You" is really great. I love the the debut for "Lieblingsmensch". One of the best German songs this year! Wow, great debut for GaGa! Didn't expect her to get a top debut on someone's charts, but it's so well deserved. 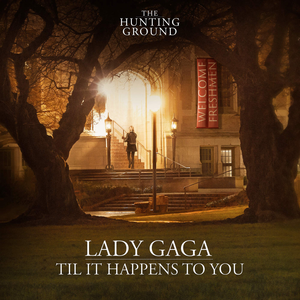 "Til It Happens To You" is sad, but also very beautiful and her vocals are amazing on it. Shame it's not a hit! Also good debut for Ellie's new single. I wasn't a big fan at first, but it grew on me now. Lana's "Music To Watch Boys To" and Namika's "Lieblingsmensch" are great, too. 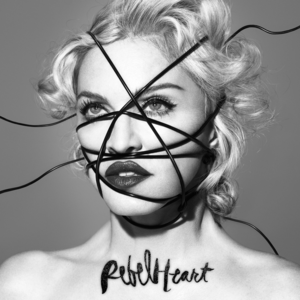 Great to see you're still liking Rebel Heart, great album. Glad to see Cant Feel My Face on here too. Sorry to hear that but don't get rid off Loreen, please! As for Selena, I liked "Good For You" some time ago, and I really need to check her new song out soon! Thank God that Loreen will release her new music video tomorrow. Hopefully, "I'm In It With You" will make a comeback soon. Your #1 is great, though and I love to see that you are a fan of "Beat To My Melody" by Lena, too! Yes I adore "Beat To My Melody"! Unfortunately, i'm not feeling Marlon's new single :( The album had so many better tracks, i have no clue why he released a new track out of a sudden when there was enough single material on "Electric Soul". Your #1 album is flawless!! Her best album by far and probably the best pop album of the year for me. It's so damn good, and "Beat To My Melody" should have been released as the follow-up to "Traffic Lights" like 2-3 months ago! You're #1 is good, I hear it a lot on the radio and it's grown on me a good bit. Nice to see Runnin' too. Yes! Loreen's made a comeback! Great to see her amazing tune returning on your chart! Also, I like the new single by Sarah Connor! Nice debut! - Not a fan of P!nk's boring attempt to create some new music. She better give us a rest. This music is not going to save any lives! LOL i was about to post in here when i got logged out so i've copied my original post to paste in here. Then i log back in and you've posted a new chart! First time posting in here but we seem to like similar music which is so good. These are the songs i love in your chart. Incredibly song from Years & Years, by far my favourite of their singles. This also topped my chart earlier in the year. I wasn't familiar with song but its been entered into the 101st FSC in the games forum and it's a good track having played it once. I will be listening to all those songs again so that means there's plenty of chances of me to really enjoy Lucifer. I must check out this song on YouTube as i did like his version of Ain't nobody. I saw an interview with Felix and he comes across as such a really nice young boy. His smile is infectious! I've started to love this song so much even though i liked it when i first heard it, it now climbs to #3 in my chart. Beyonce's vocals are so gorgeous and i really like Arrow's vocals although i've never heard of him before this song. When i first heard this i was a bit disappointed but then it was following Love me like you do which i absolutely love so much. This song did grow on me a bit and made #10 in my chart. Ellie has released an instant grat called Something in the way you move and its a really good song, i prefer this to On my mind. Quite a steep drop for Lady Gaga here but she had a similar drop in my chart going 8-17 but this song dropped out of my top 20 last week. The above three made my chart too. Let it all go is so beautiful, went to #1 in my chart. Not a fan of P!nk's boring attempt to create some new music. She better give us a rest. This music is not going to save any lives! I really love Gaga's new single, due to different reasons I'm just not so much into listening to this sad content right now, hence the steep drop.